Whether fans in the stands know it or not, they cheer on their baseball teams at their own risk. A roughly century-old so-called Baseball Rule states that stadium owners and operators are not responsible for injuries sustained by foul balls or pieces of shattered bats, so long as netted or screened seats are in place for a reasonable number of spectators. The onus is on the fans to be alert during the game. “That is a longstanding legal principle that fans who chose to sit where balls or shards of bat could hit them have a duty to pay attention for their own safety,” said Steven A. Adelman, a sports attorney focusing on venue safety. Or, put another way, the gamble is simply the price of fandom. The risks of injuries in the stands from errant bats or balls “are an unavoidable — even desirable — part of the joy that comes with being close enough to the Great American Pastime to smell the new-mown grass, to hear the crack of 42 inches of solid ash meeting a 95-mile-per-hour fastball, or to watch a diving third baseman turn a heart-rending triple into a soul-soaring double-play,” Missouri Judge Paul C. Wilson wrote in a 2009 case, describing his court’s general philosophy on the matter. 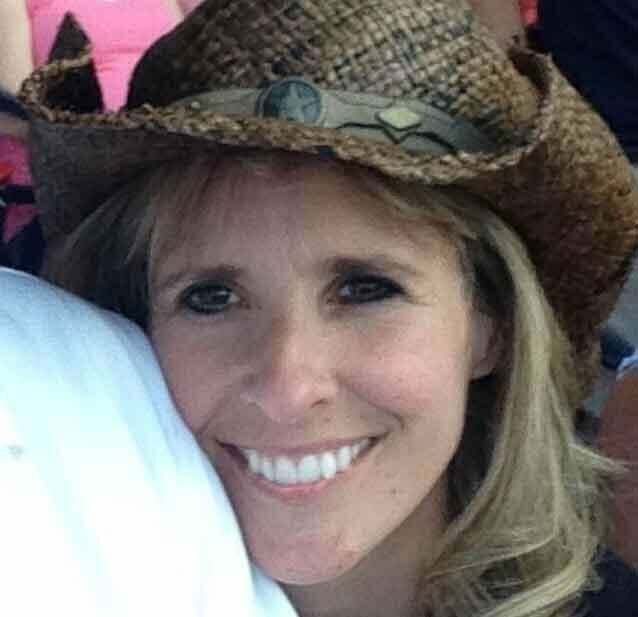 Debate about the controversial rule renewed after Tonya Carpenter, 44, of Paxton was struck and seriously injured by a shattered baseball bat at Friday night’s Red Sox game at Fenway Park. The age-old rule makes any attempt to bring a lawsuit an uphill battle in which the odds are stacked against injured fans and their families. Carpenter was at the game with her 8-year-old son, Aidan, and her former boss at Liberty Construction when she was struck in the face by a piece from a broken bat swung by Oakland Athletics batter Brett Lawrie. Carpenter was seated close to the action near the visitors’ dugout on the third base side when the bat piece flew into the stands during the second inning of the game. She was carried off the field and taken to Beth Israel Deaconess Medical Center, where she remained in serious condition Sunday, hospital spokeswoman Kelly Lawman said in a statement. 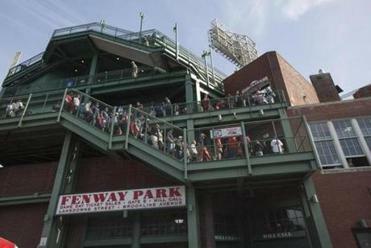 Fans head to Fenway to cheer the team at their own risk, signs and tickets say. The Baseball Rule was devised in the early part of the 20th century when baseball was played at a much slower pace, said Martin W. Healy, chief legal counsel for the Massachusetts Bar Association. Fans can now sit closer to the field – and in most areas of a stadium – without the obstruction of a net or screen, and feel as if they are a part of the game. Thrown or batted balls rip through the air at quicker speeds and baseball bats once made of ash are now often made of maple, which players prefer, but which have led to serious injuries not only to fans, but to pitchers and infielders as well. That rule was in part the reason Monte Hoskey decided against taking the Kansas City Royals and Kauffman Stadium to court when his then-4-year-old daughter, Alexis, sustained a skull fracture there after a line drive foul ball hit her in the left eye during a game in 2011. 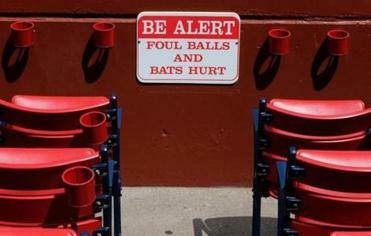 Debate about the “Baseball Rule’’ was renewed after a fan was hurt at a Sox game on Friday. Historically, injured fans have not filed suits due to the rule. Hoskey, 40, said he hired an attorney to assist with obtaining compensation from the Royals for Alexis’ medical expenses, but their request was denied three times. The attorney advised the family against filing a lawsuit noting the history of previous cases, a disclaimer on the back of sports tickets, and the costs associated with a long legal battle. “I’m sure at some point I read the back of the tickets, but it’s family entertainment,” Hoskey said, adding he was seated on third base side, 30 to 40 rows past the dugout seats. At least two other people were injured at the stadium that year. In 2004, a Massachusetts appellate court ruled in favor of the Sox against Jane Costa, who lived in Stoughton and was injured by a baseball in 1998. The three-member panel did not cite the Baseball Rule in its order. Costa had argued that the Sox had failed to warn fans – beyond the fine print on the back of a ticket – of the dangers associated with watching the game. Gorman, who plans on releasing an updated version of his book, which will include about 2,000 fatalities between 1862 and 2014, said that figure includes 54 people in Massachusetts, 15 of whom were spectators. In recent years, injured fans have managed to gain some victories in the fight against the controversial Baseball Rule, including in Missouri, where a Supreme Court ruled last year that flying hot dogs were not a part of the risk fans must assume when watching the game. The ruling followed an incident in September 2009 when Kansas City Royals mascot Slugerrr threw a hot dog into the crowd and struck John Coomer in the eye. The case was remanded to a jury trial. In 2013, the Idaho Supreme Court also decided not to enforce the Baseball Rule, after spectator Bud Rountree lost an eye after being hit by a foul ball while watching the Chicago Cubs farm team the Boise Hawks. A jury will make a decision in the case. Rountree was in a section of the stadium protected by a mesh net when he walked over to speak to someone in an unprotected area moments before the ball struck. The success of those cases is largely attributed to time and location of the incidents, said Adelman, who said the rule should no longer apply to ballparks. The “Baseball Rule” is a national concept upheld by most states. However, in Georgia the Court of Appeals declined to adopt the rule last year when the father of a 6-year-old girl, whose skull was fractured by a foul ball, filed a lawsuit against the Atlanta Braves. 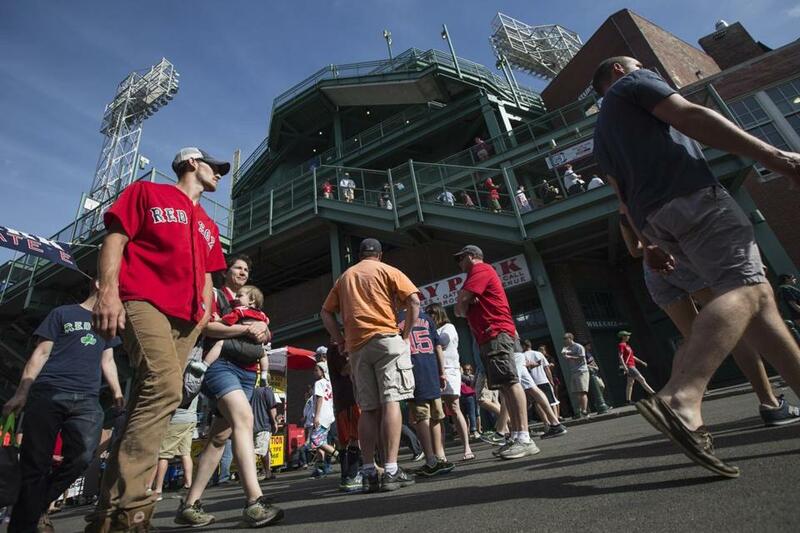 But Sox fans attending a game Sunday said they were aware of the rule — and for the most part were fine with it. But Nicole Schall of Phoenix, Ariz., disagreed. Globe correspondent Matt MacCormack and Laura Krantz of the Globe staff contributed to this report. Jan Ransom can be reached at jan.ransom@globe.com. Follow her on Twitter at @Jan_Ransom.